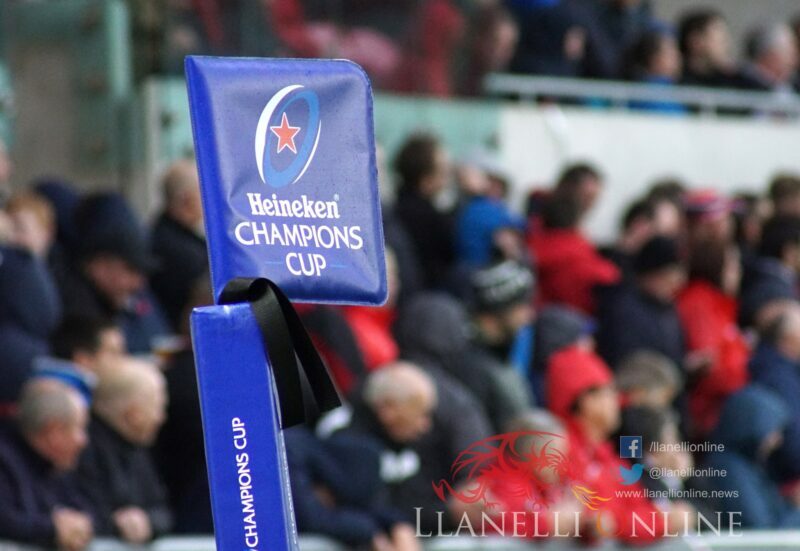 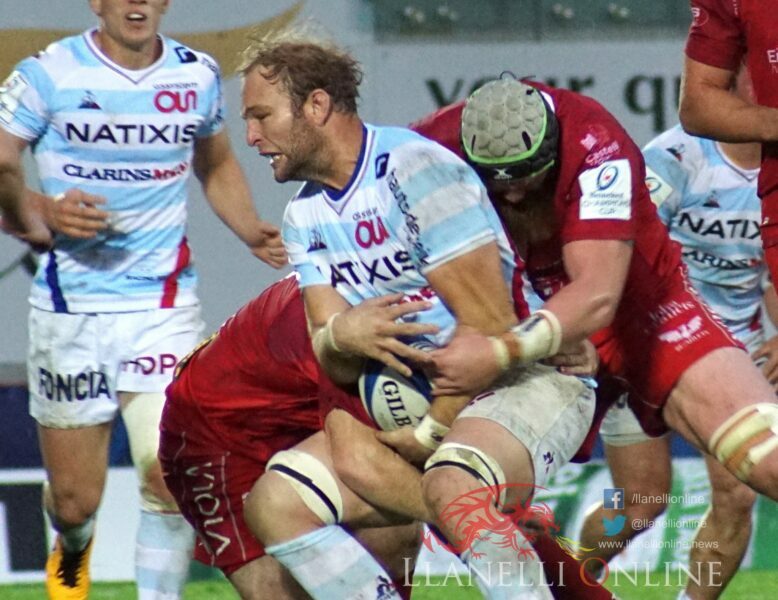 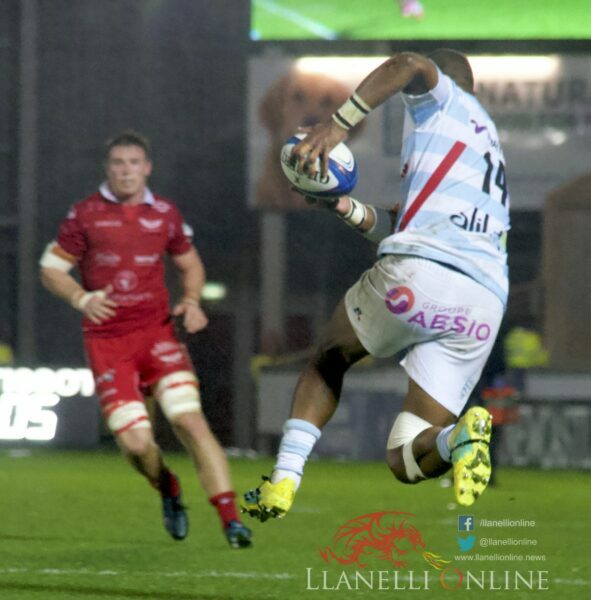 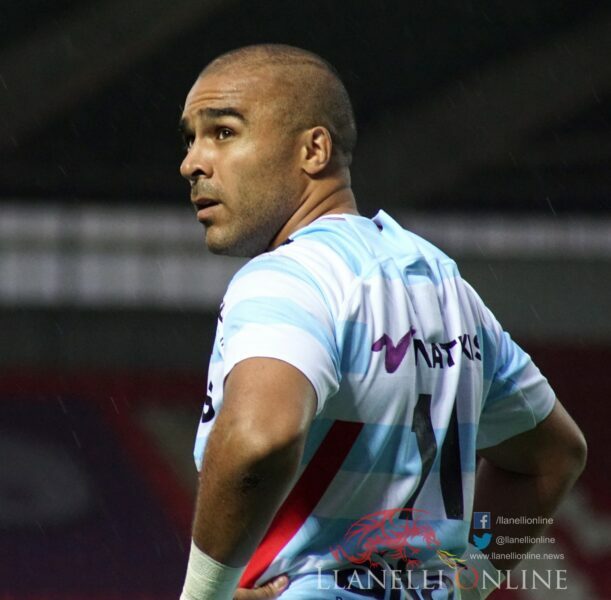 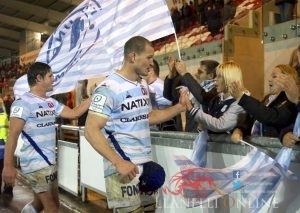 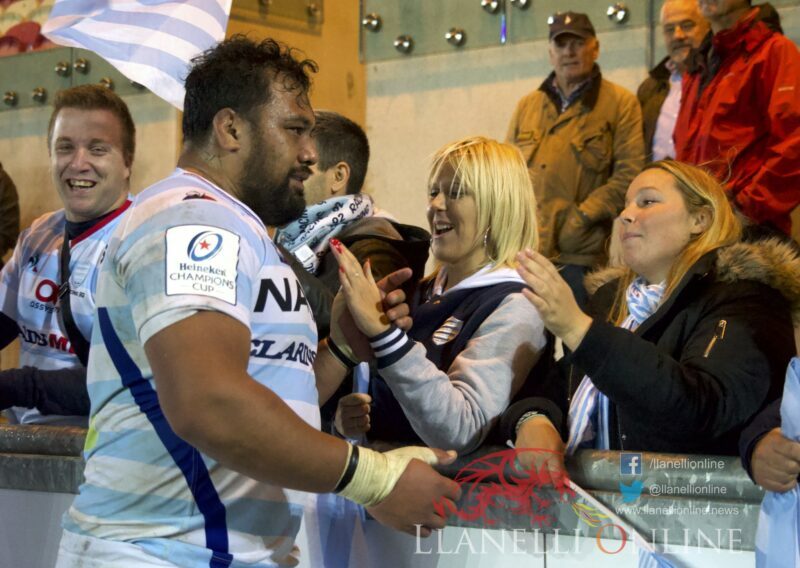 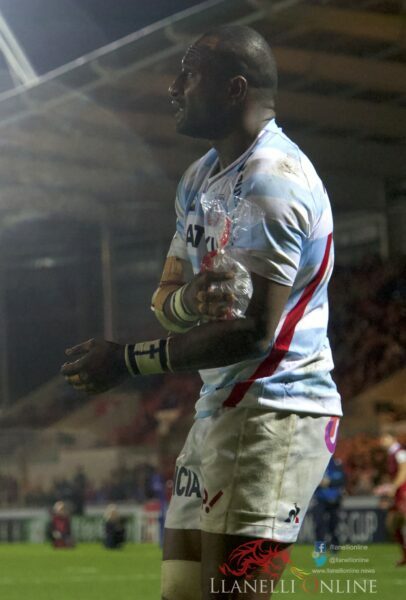 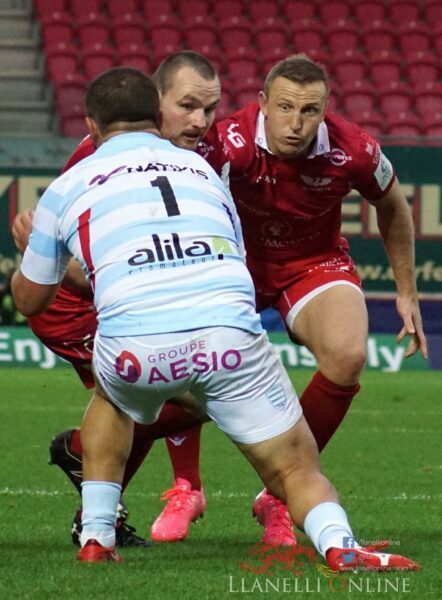 A late penalty try gave Racing 92 victory over the Scarlets in the opening round of the Heineken Champions Cup on Saturday (Oct 13). 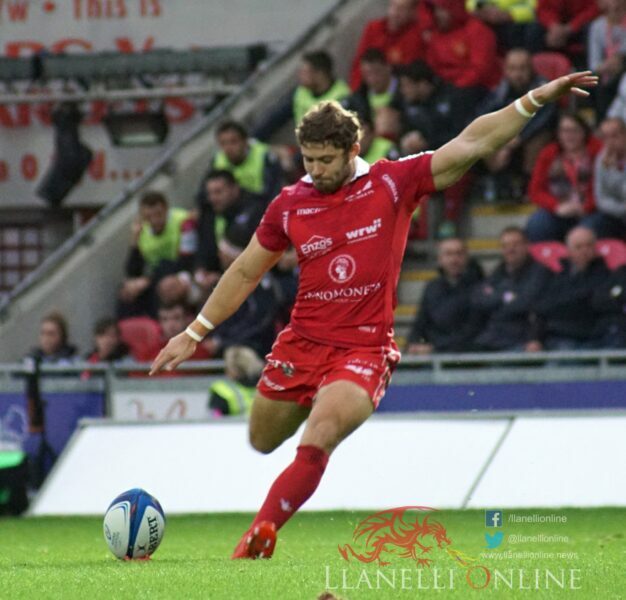 The opening points of the match came from a Leigh Halfpenny penalty but it was the French side who took the half time lead with a try from Baptiste Chouzenoux, converted by Scotland international Finn Russell. 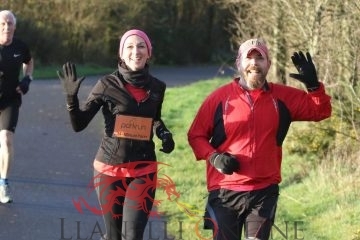 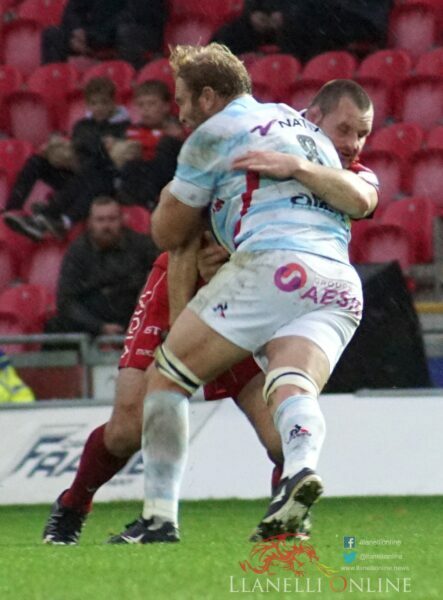 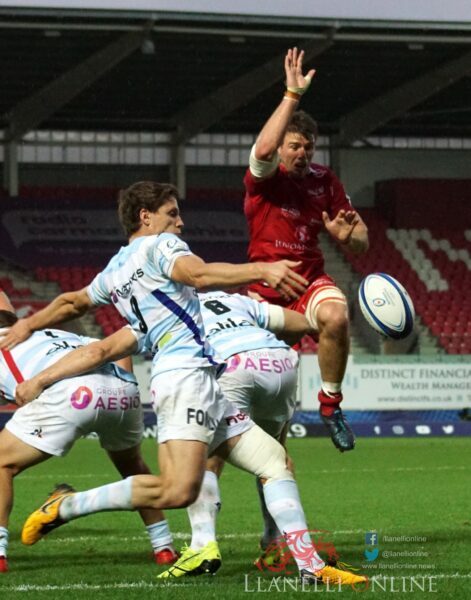 In the second half, Scarlets built pressure and were rewarded when Gareth Davies sneaked his way into the left hand corner on the back of a scrum. 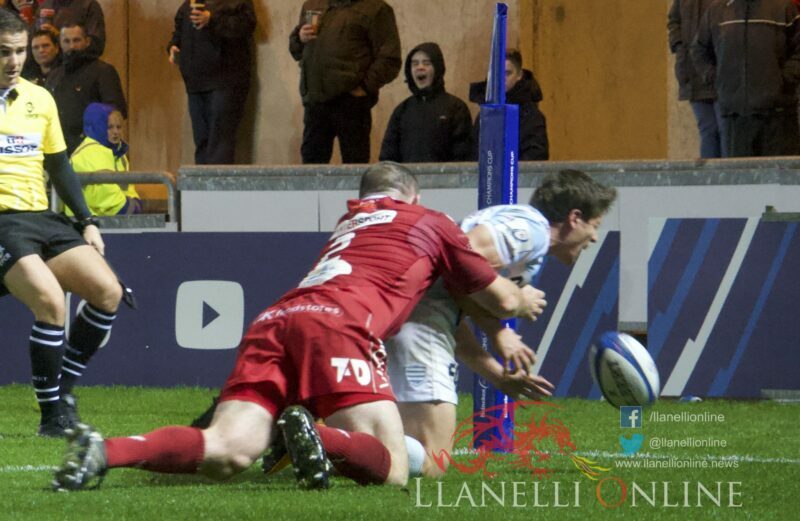 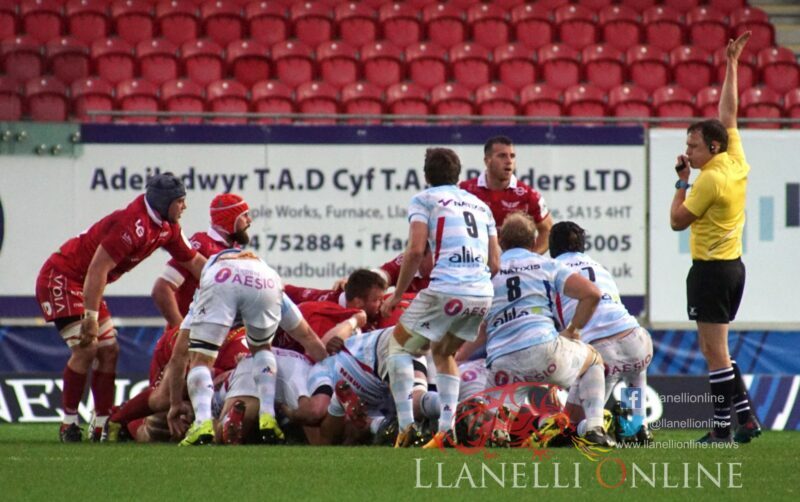 Halfpenny was wide with the conversion. 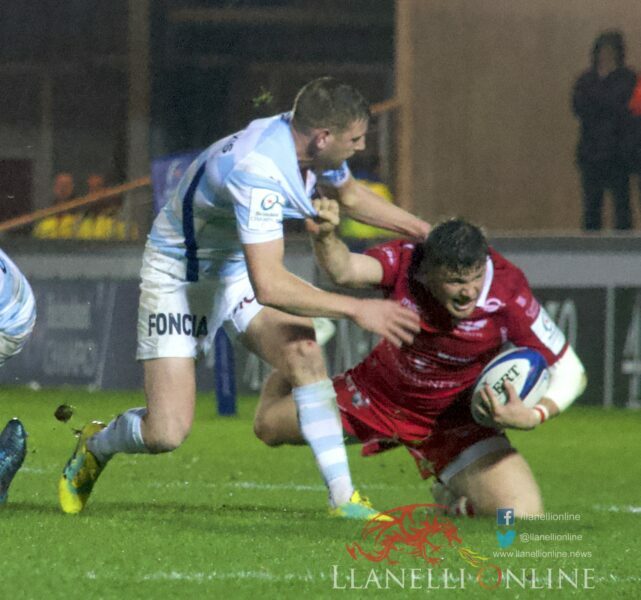 5 minutes later wing Johnny McNicholl chased a grubber kick from centre Jonathan Davies and dived over to score his sides second try of the evening. 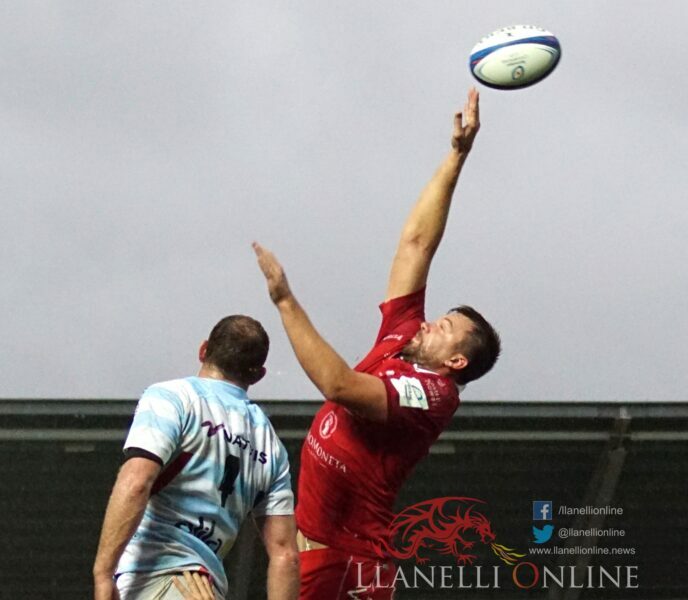 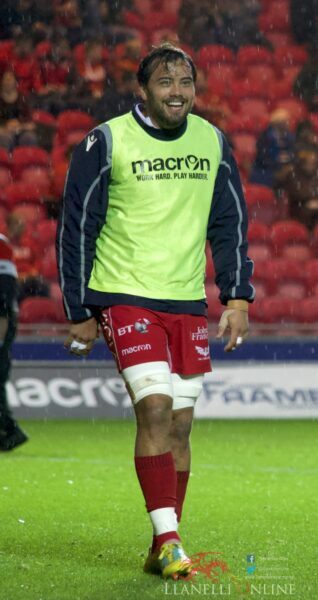 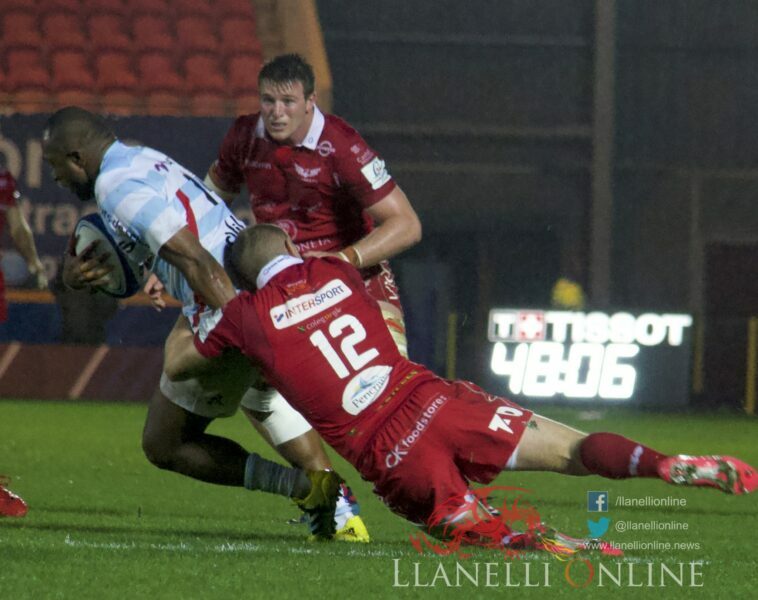 Halfpenny was again wide with the conversion inside a wet and windy Parc Y Scarlets. 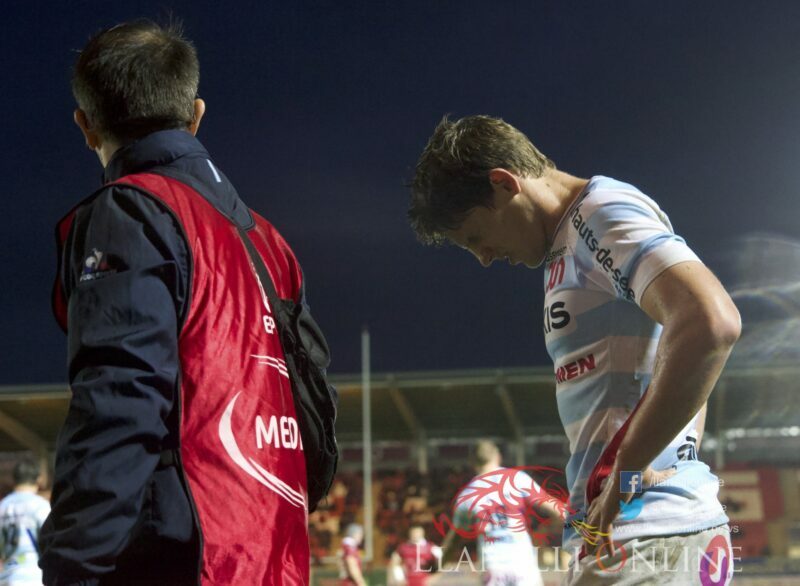 But the moment of the match came in the 76th minute when referee Matthew Carley awarded Racing 92 a penalty try following a strong driving maul from their forwards. 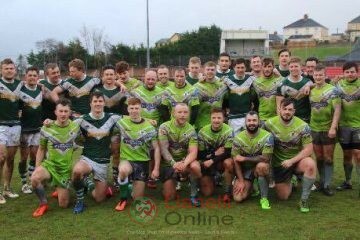 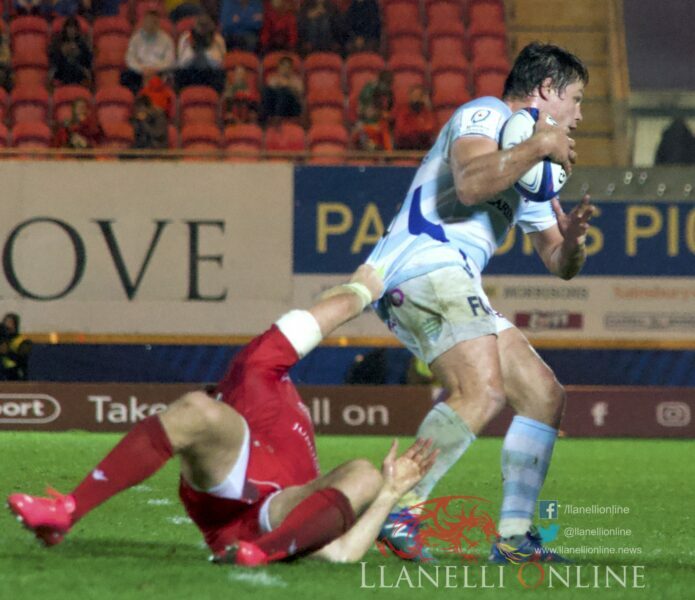 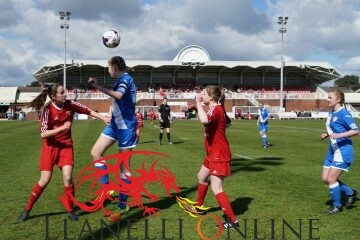 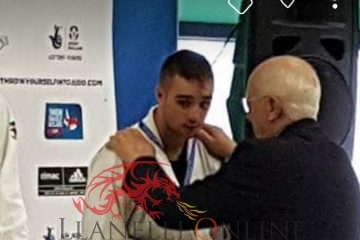 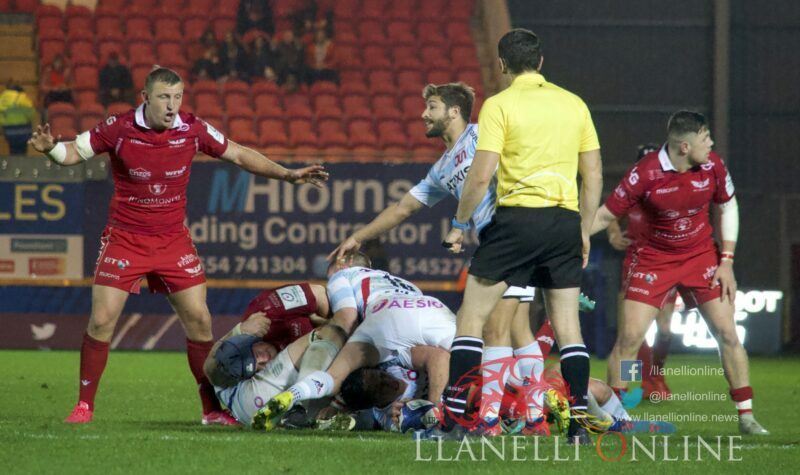 Davies was shown a yellow card for the illegal infringement. 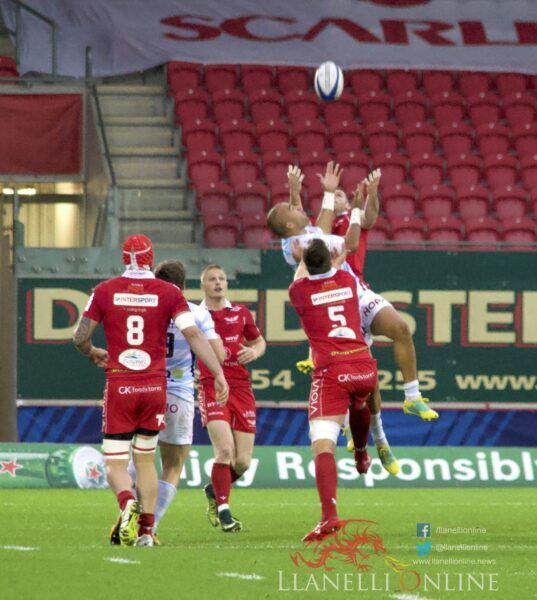 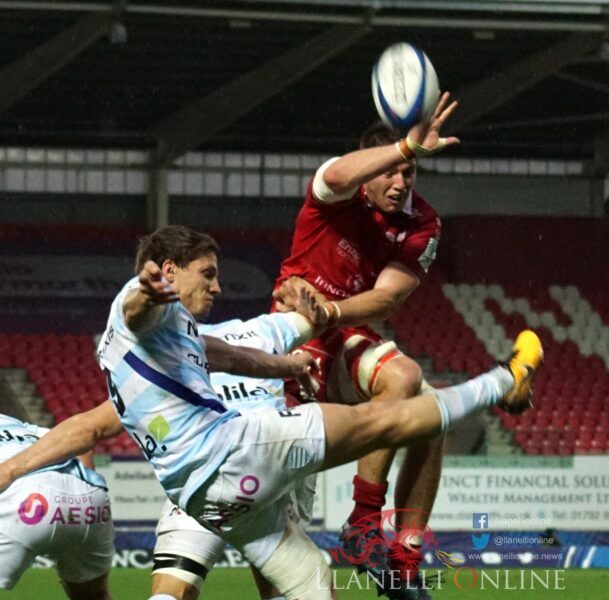 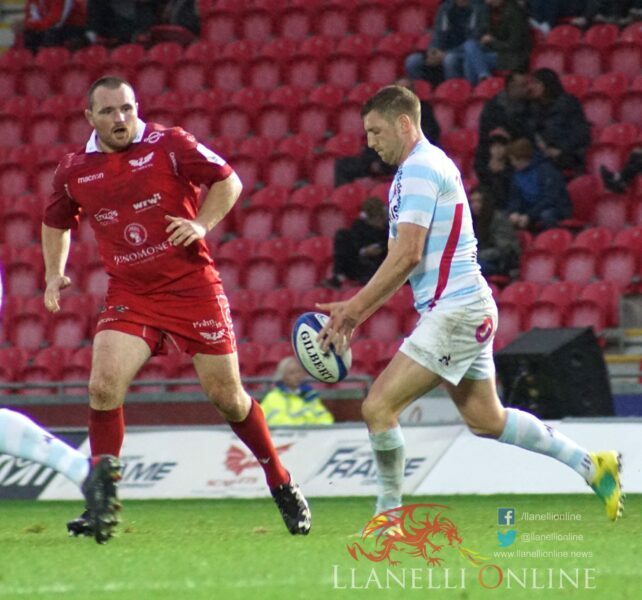 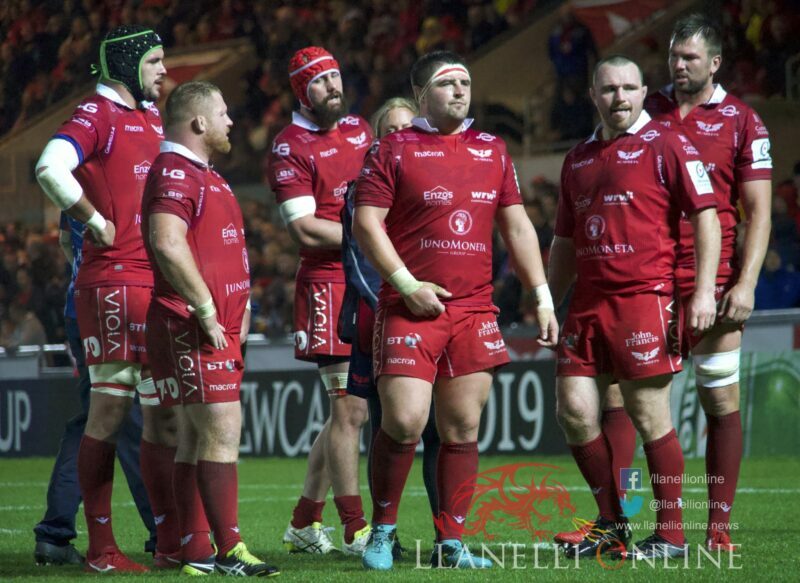 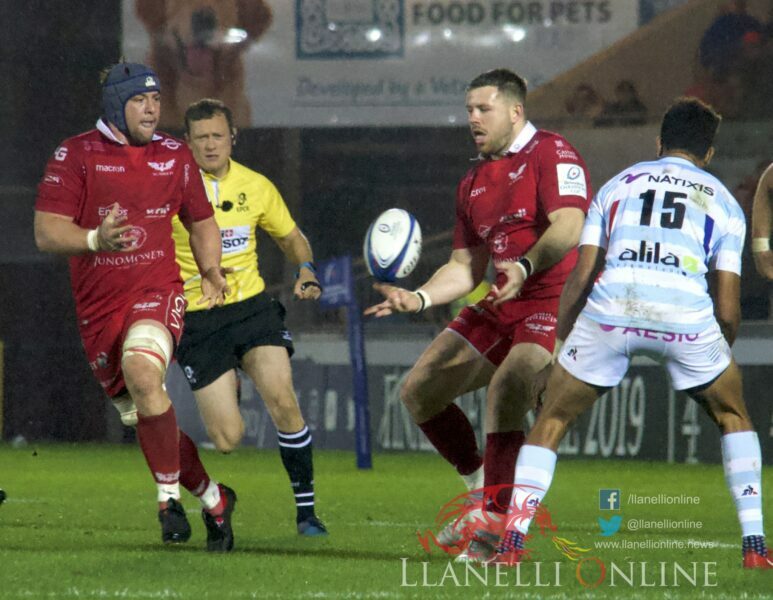 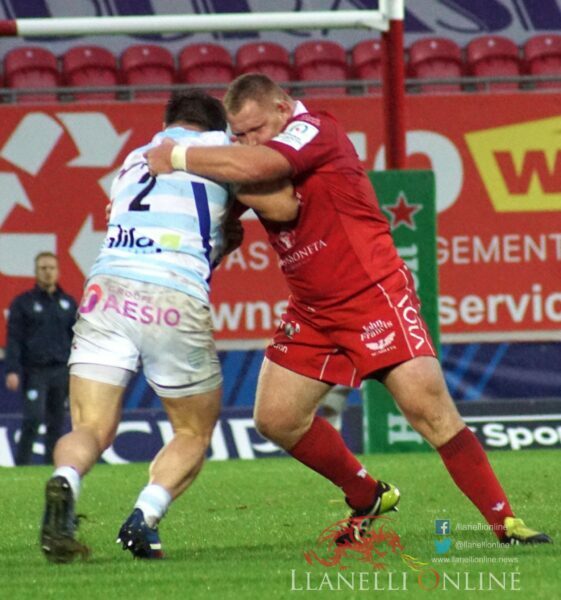 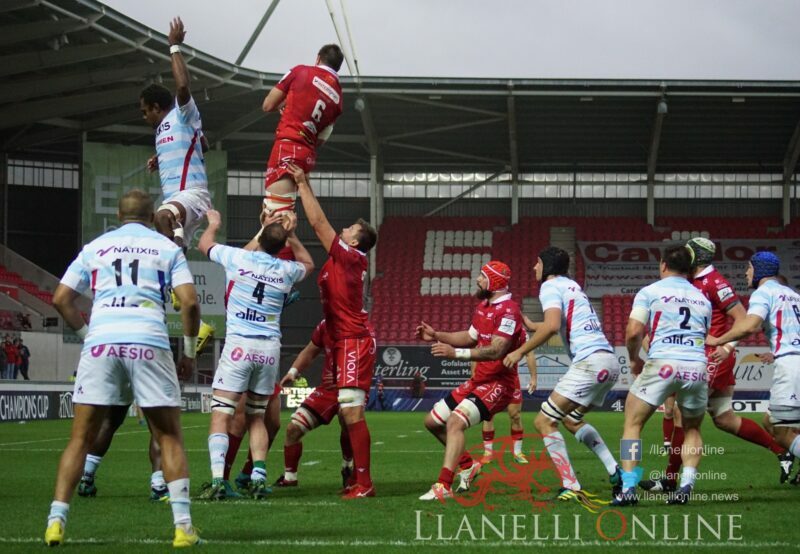 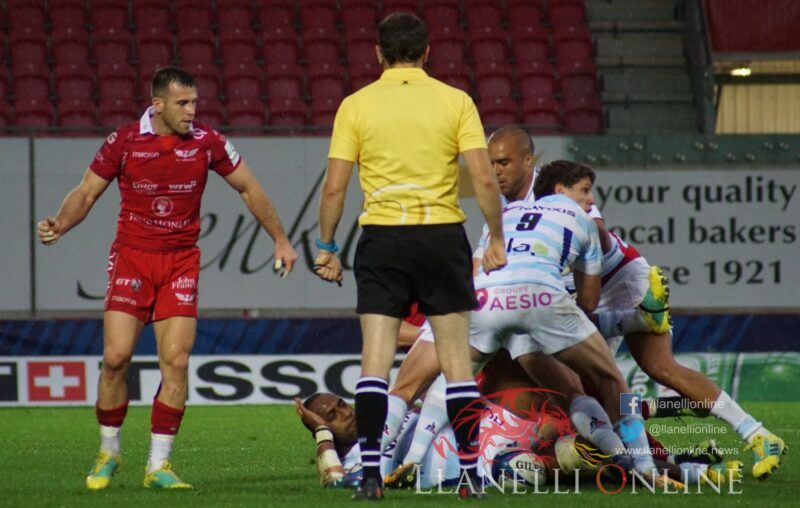 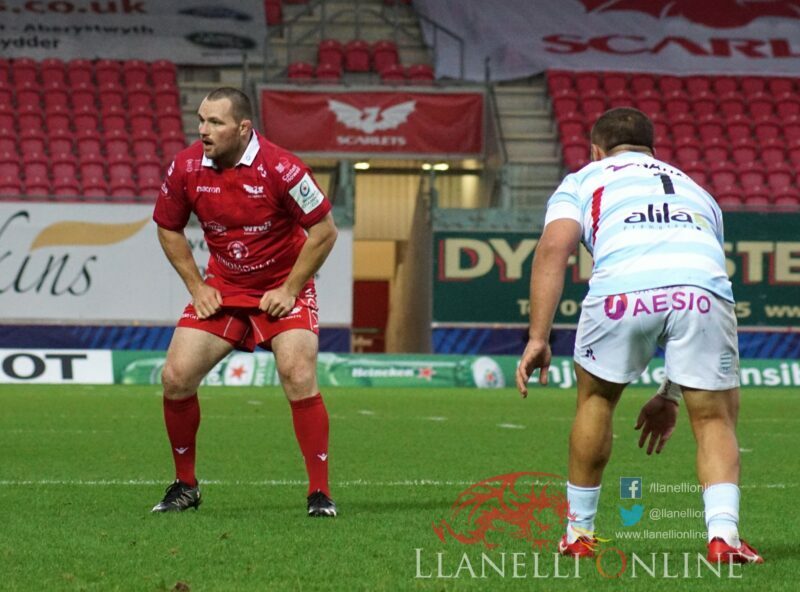 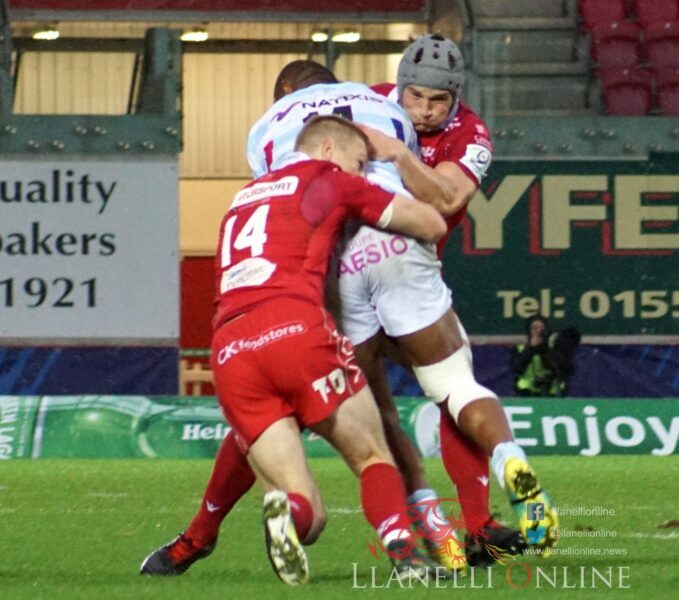 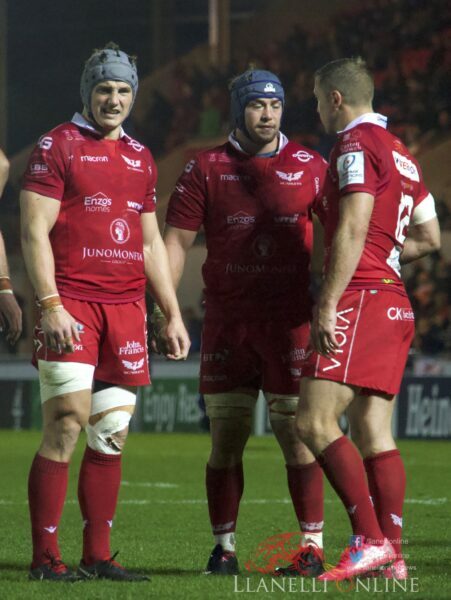 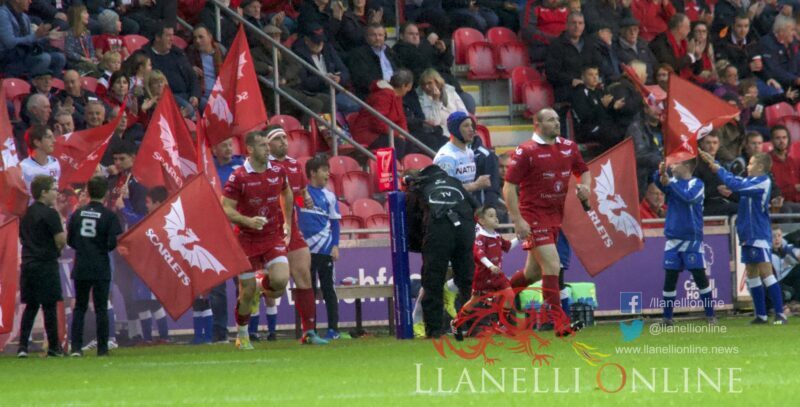 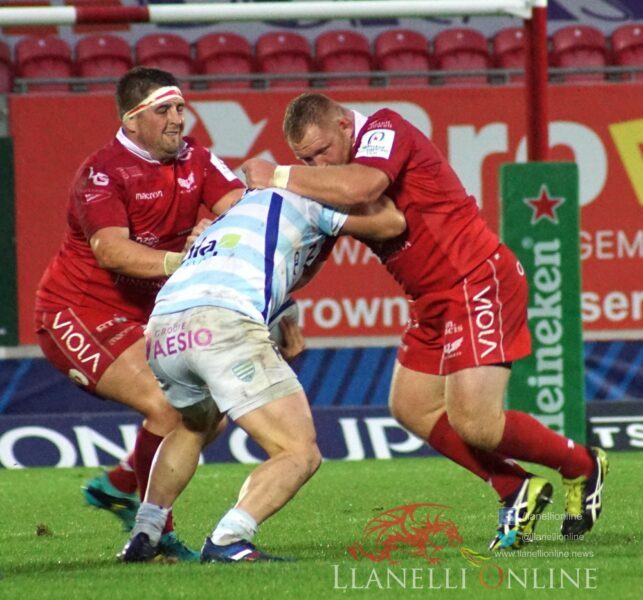 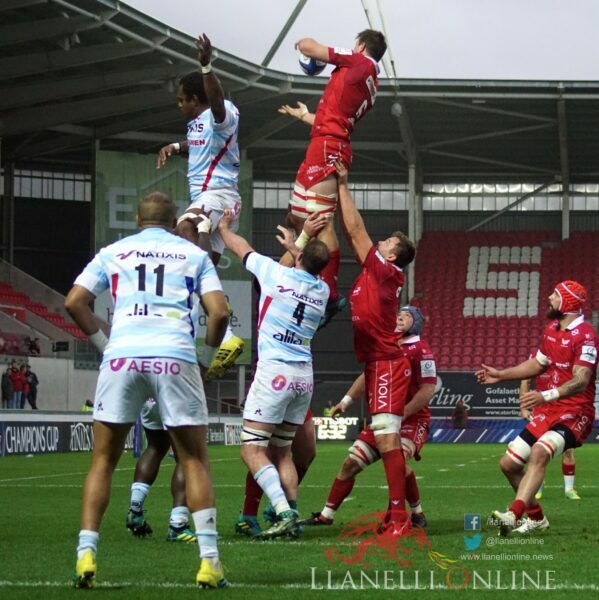 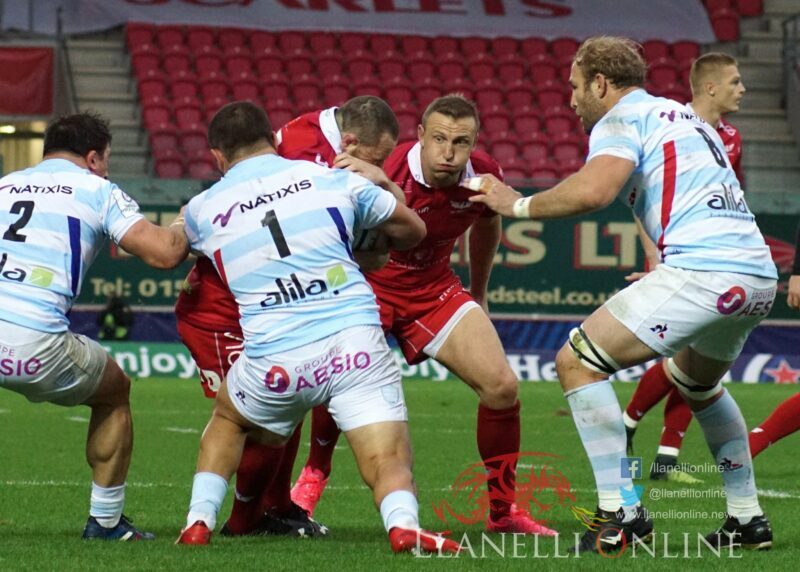 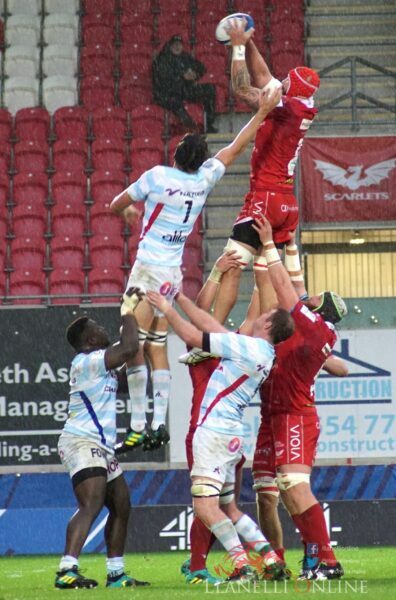 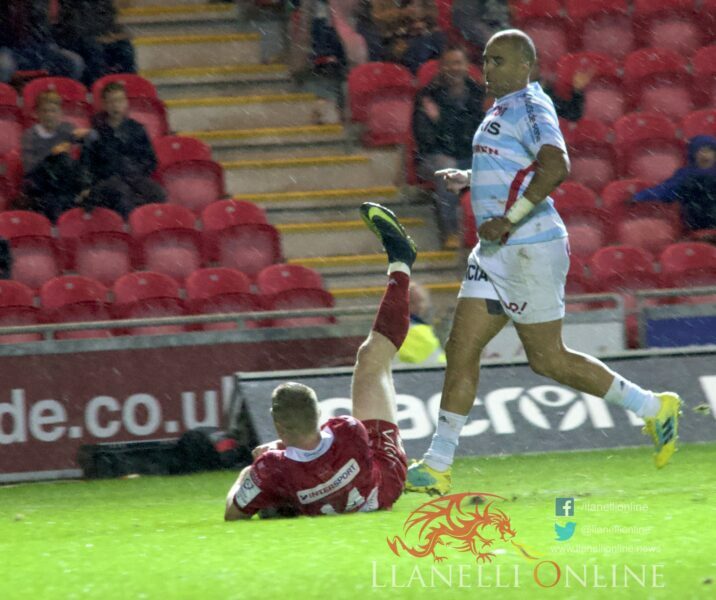 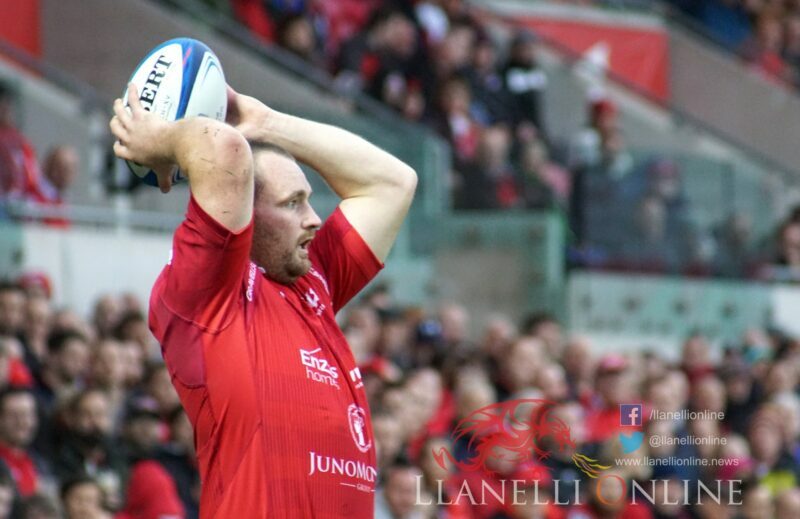 Scarlets continued a late attack but a loss of possession in overtime meant it was all too late for Wayne Pivac’s side. 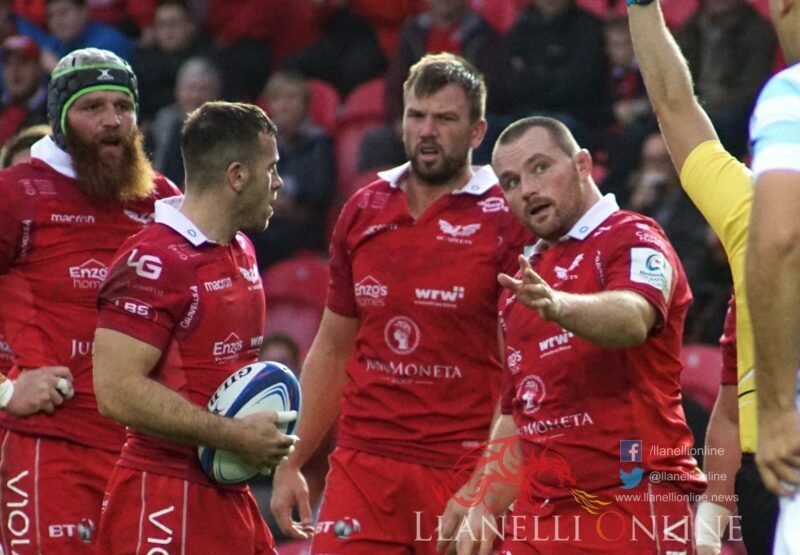 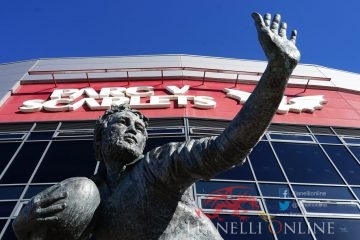 The Scarlets will now look to bounce back when they travel to Welford Road next Friday (Oct 19) to face Leicester Tigers in round 2 of the Champions Cup.